In 2014 you coauthored a review paper on the effects of stress on health and behavior. What results did you report? A piece I liked there is the "safe haven" concept - can you talk more about that? What are some of the ways that people can be a safe haven for their dogs in public? What are the coping mechanisms and life skills that you found to be useful for reducing stress? Eustress is theoretically the good kind of stress. Can you discuss the difference between eustress and distress and can there be too much eustress? In the stress paper you wrote, "emotional states are not mutually exclusive," which is something that I try to explain to clients. Can you talk more about that? What are some ways we can avoid creating emotional conflicts or at least recognize it when it happens? In your research on scent detection dogs, you found a difference in the way dogs sniffed for true negatives compared to false negatives. Can you tell us some more about that research and how it might be used in practice? Your team's research on word generalization and shape with Gable the border collie was so fascinating. Can you tell us about Gable and what your experiments found? What are the practical recommendations for clients or trainers that come out of that research? 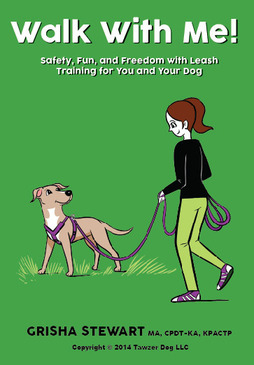 Any parting advice for dog trainers and caregivers who are watching? Helen is a veterinary behaviorist who co-authored the fabulous books Life Skills for Puppies and Helping Minds Meet: Skills for a Better Life with Your Dog books with Daniel Mills and No walks? No worries! Maintaining Wellbeing in Dogs on Restricted Exercise with Sian Ryan. The Life Skills program offers public puppy classes in Lincoln, UK as well as intense trainer education courses. 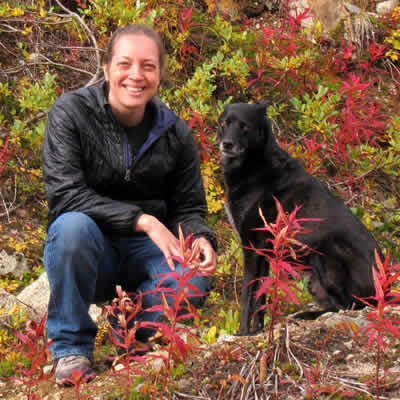 She has worked in a number of areas of veterinary science and moved into the field of clinical animal behavior (consulting and teaching) in 1999. She is also a Senior Lecturer at the University of Lincoln for the undergraduate programs and the Master of Science in Clinical Animal Behavior. Helen also spends time as a consultant at the University of Lincoln Animal Behavior Referral Clinic and writes a blog about cat behavior. Her main interests and areas of research include the prevention of behavior problems through appropriate early life experiences, the application of scientific principles in animal training, the interaction between health and behavior, communication in animals and olfaction in dogs. She has owned and trained dogs all her adult life. Helen has developed and refined the concepts and trainer course content over several years of teaching dog training classes, working with dogs and cats with behavior problems and lecturing to students at the University of Lincoln, alongside a busy schedule of seminars and talks at conferences and professional development courses for vets and dog training professionals. Helen has had dogs all her adult life, and currently has a border collie and a labrador, who help her with her teaching and research interests. Mills, Daniel and Zulch, Helen (2010) Veterinary medicine and animal behaviour: barking up the right tree. The Veterinary Journal, 183 (2). pp. 119-120.